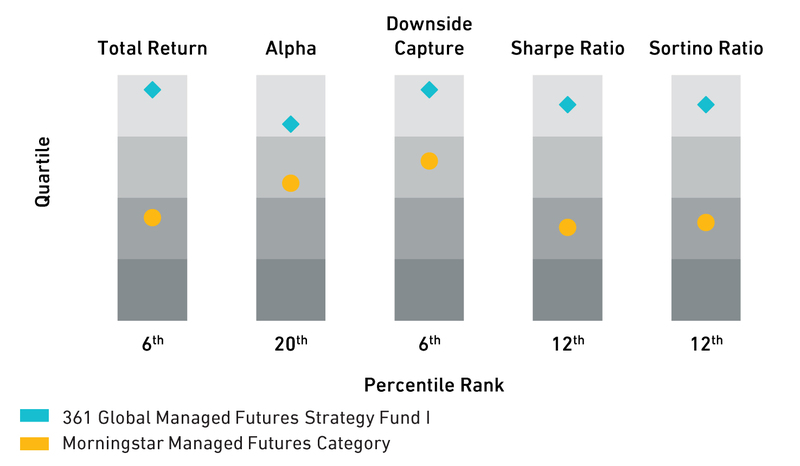 Morningstar rankings are based on a fund’s average annual total return relative to the funds in the same category and includes the reinvestment of dividends and capital gains. Rankings shown are for Class I shares and may be lower for Investor shares due to higher fees and expenses. The rankings may have been lower without the fee waiver in effect. The highest (or most favorable) percentile rank is 1 and the lowest (or least favorable)percentile rank is 100. The Fund was ranked 28 among 115 funds, 5 among 96 funds, and 33 among 66 funds for the 1-year, 3-year and Since Inceptions periods, respectively.